A superb stone built cottage situated just off the centre of the delightful village of Burnsall, close to the River Wharfe and the Dales Way. 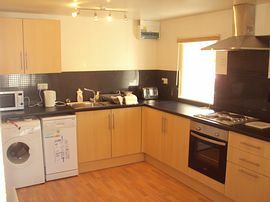 Fully refurbished in 2010 and finished to a high standard throughout. 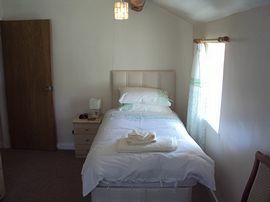 The cottage offers comfortable, well equipped accommodation with a wonderful combination of modern furnishings and original features, amidst a cosy and welcoming atmosphere. 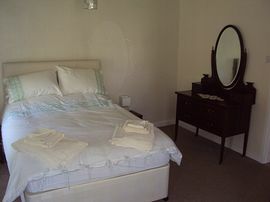 Additional rooms may be available across the drive at the Bed and Breakfast on a per night basis, ideal if you have friends or family visiting. 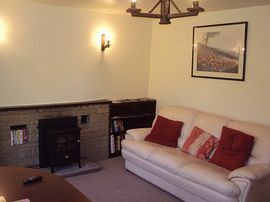 Central heating throughout with additional heating from stove in sitting room. Electric cooker, microwave, fridge, washing machine, colour TV, DVD, CD player-radio, library of books-games-DVDs etc. Enclosed courtyard with patio and garden furniture. Shop and pub 1 minute walk. Private stretch of the river for fishing. Please note this property is suitable for a maximum of 4 people. The lovely courtyard provides an excellent spot for al fresco dining whilst, just a short walk away, is an award winning pub, serving real ales and fabulous food. Enjoy countless walking and cycling opportunities from the doorstep, or explore Bolton Abbey and the infamous Strid, a notorious stretch of deep water, where the River Wharfe is forced into a deep, thundering channel. The elegant market town of Grassington, with its cobbled square has many local shops, pubs and cafes, is just 5 miles away, making this an ideal location to be enjoyed at any time of the year. 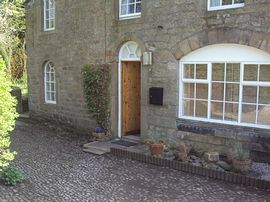 Traditonal stone built cottage fully modernised 2011. Stunning scenery in every direction. Directions are on our website, link above.